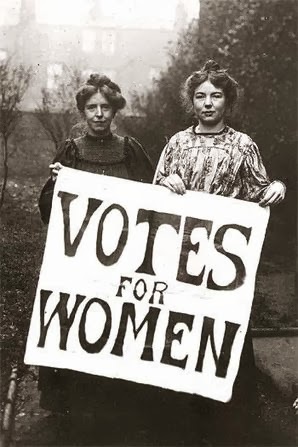 Votes for Women - New Jersey Suffragettes ~ The History Girl! With the current state of national politics, the raging rhetoric and political pontification threatens to leave potential voters tone-deaf, disgusted, and dubious that their vote matters. That being said, it will do us all good to remember the struggle of one group of Americans desperate to have that right to vote: the ladies of the women’s suffrage movement of the 19th and early 20th centuries. As early as the 1850s, with the cry “Votes for Women,” suffragettes banded together in pursuit of a place at the ballot box, led by movement pioneers Elizabeth Cady Stanton and Susan B. Anthony. 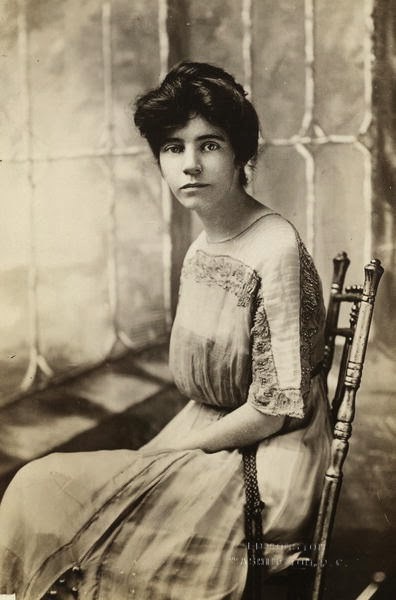 Success remained elusive and as the quest for universal suffrage struggled on at the dawn of the 20th century, New Jersey’s own Alice Paul became a committed and tireless leader in a new generation of women’s rights advocates. While every successful cause has such indispensable and dedicated leaders, its followers are the wind beneath its wings, bringing energy and the power of numbers to the quest. We don’t have to look any farther than our own New Jersey backyard to see that energy at work in the women’s suffrage movement. In the second decade of the 1900s, one Hudson newspaper carried a column titled “Woman’s Suffrage Forum,” a regular feature that included information on local women’s suffrage lectures, events, news and campaigns and also reported national progress as individual states voted for (or against) extending the right to vote to female residents. In 1915, New Jersey suffrage supporters succeeded in getting the question on a statewide referendum to be voted on in October of that year. In August, as the election drew near and a woman’s right to vote in New Jersey lay in the hands of the men of our state, the pages of local papers carried news of the upcoming arrival of the “suffrage torch” in Jersey City. The torch, symbolically unlit to represent the enlightenment that would come from granting we Jersey girls the right to vote, was to travel throughout the state to raise awareness and popular support for the upcoming suffrage amendment vote. The torch’s travels across the Garden State were to be accompanied by celebrations and ceremonies attended by politicians, prominent citizens and the leaders and members of the Women’s Political Union (WPU). Suffrage torch hand-off, August 7, 1915. 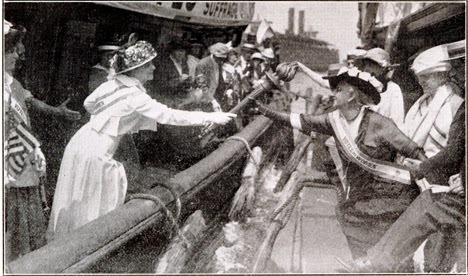 On August 7, 1915, the suffrage torch, accompanied by members of the New York contingent of the WPU, departed New York on the tugboat Holbrook and headed across the Hudson River. At the same time, representatives of the New Jersey WPU left Jersey City on the tug A.W. Smith, set to meet their New York sisters in the middle of the Hudson precisely at noon. The torch handoff on the Hudson completed, the New Jersey delegation tug returned to the Pennsylvania Railroad pier after which a series of ceremonies and outdoor meetings were scheduled, the first starting at 1pm at Montgomery and Washington Streets. 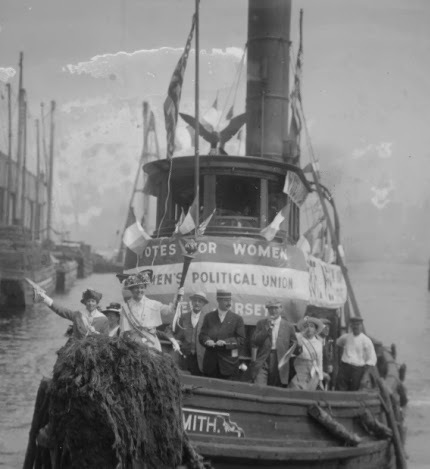 The hand-off and return of the banner-emblazoned tug with a member of the New Jersey delegation triumphantly holding up the suffrage torch were memorialized in two photographs that speak to the happy occasion and hopes for the upcoming special election. Sadly, despite all their efforts, October did not bring the suffragettes a victory and the right to vote. Over 300,000 New Jersey men voted in the special election and while 42% of them were in favor of giving women the right to vote, the majority voted no and the amendment was defeated. Worse, that defeat meant the amendment could not be brought up for another vote in New Jersey for several years, a stinging blow to supporters of the suffrage movement. 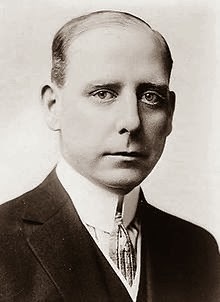 Four years later, in October 1919, Mayor Frank Hague of Jersey City, representing New Jersey gubernatorial candidate Edward I. Edwards, addressed the executive committee of the New Jersey State Suffrage Association, a gathering that drew women from virtually every county in New Jersey. Hague advised the women to emulate the recruiting methods of men’s organizations and labor unions and to partner with the Democrats who had a “Votes for Women” plank in their platform, telling those present that the opportunity they had sought for years had finally come. In the end, the women of New Jersey won the right to vote when the 19th Amendment to the U.S. Constitution was approved by three-quarters of the states as of August 1920, one of those states being New Jersey. Post-Script: Ten days after the suffrage torch arrived in Hudson County and began its pilgrimage across New Jersey, it was stolen from the backseat of an automobile in Atlantic Highlands. The NJ WPU offered a reward of $50 for its safe return. Representatives of a New Jersey anti-suffrage group offered an additional $30 reward, keen to prove that the “anti-suffs” were not involved in the theft. A week later, a Wall Street lawyer named Lynch contacted the WPU saying he found the torch on a Philadelphia streetcar. The recovered torch safely made its way back to Newark and Mr. Lynch graciously refused to accept any reward. Maureen Wlodarczyk is an author, columnist, genealogist, speaker, and blogger, an officer with the Flannery Clan based in Dublin, Ireland, a member of the Irish-American Writers and Artists organization and the Genealogical Society of New Jersey. An admitted history addict, Maureen searches for true stories of people and events lost to time, rediscovering and sharing those tales. These fascinating stories of 19th century immigrants, entrepreneurs, social activists and people persevering in the face of daily challenges transport us in a time machine to days long past. Maureen currently writes a genealogy column "History & Mystery: Perfect Together" for the e-magazine Garden State Legacy. She is also a contributing writer for the genealogical e-magazine Irish Lives Remembered. Maureen is also the author of four books with ties to true New Jersey historical events including Jersey! Then . 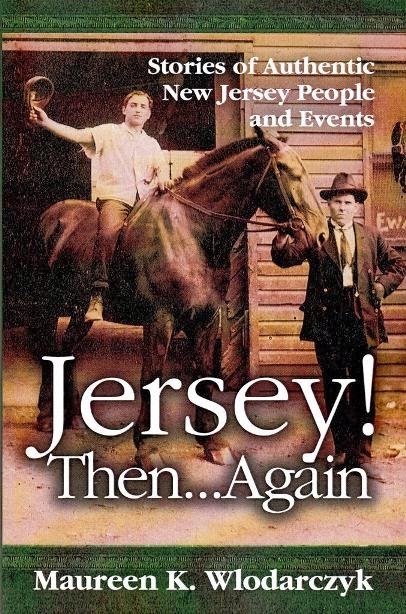 . . Again, a collection of 36 short stories about New Jersey historic people and events. Suffragettes, boxers, hurricanes, gangs, hot air balloonists, con artists, politicians, inventors, women in the war effort, military heroes and more - it all happened in New Jersey! The book can be purchased at Maureen's web site, www.past-forward.com.